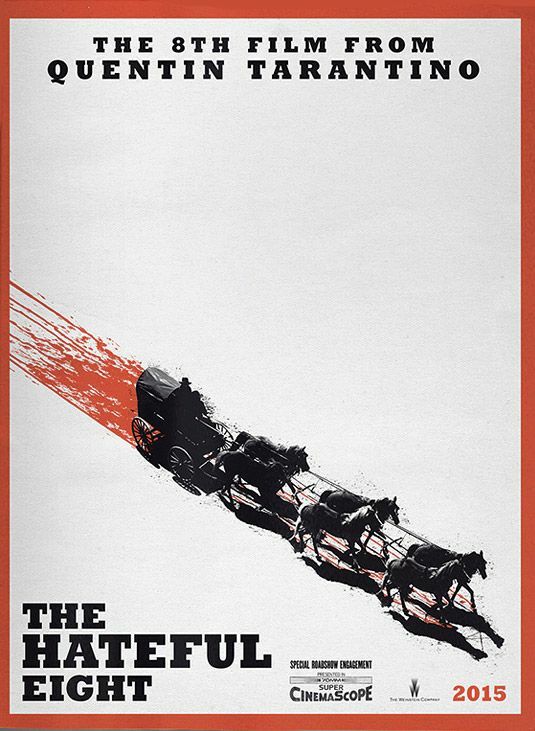 The Hateful Eight is Quentin Tarantino's latest gore-filled, violent, ensemble film. It's a western that largely takes place in one location, a stagecoach lodge in which the characters have taken refuge during a snowstorm. Warren and Ruth are bounty hunters, Domergue is Ruth's bounty, who he intends to chaperone his charge to see her hanged. At the lodge, they encounter a group of men and set out to determine their true motives. I like Tarantino's films and this one hit his usual touchpoints: heavy dialog, intense violence, Samuel L. Jackson. But, for some reason, I didn't really like the film as a whole as much as some of his past work. I haven't yet figured out why exactly, but I do agree with Leigh's Oscar nomination! The White Stripes - "Apple Blossom"
Crystal Gayle - "Ready for the Times to Get Better"
Roy Orbison - "There Won't Be Many Coming Home"